The Super Bowl is just around the corner. Do you have your playbook ready for your viewing party? Whether you are entertaining for a big group of fans or a small team, you’ll want your snacks to score. Finger foods are usually the name of the game when it comes to football food (unless it’s chili, of course). Eating food like chicken wings, pizza, tacos and subs during the big game allows you complete mobility to jump up and down when your team scores (or other things when the opponent does). But take-out wings and grocery store veggie trays just won’t cut it. Since The Chopping Block’s chefs definitely know how to throw a party, we’ve compiled their recipes for game day grub so you won’t have a food fumble! This collection is The Chopping Block’s recipe for success in the art of creating food fit for football. 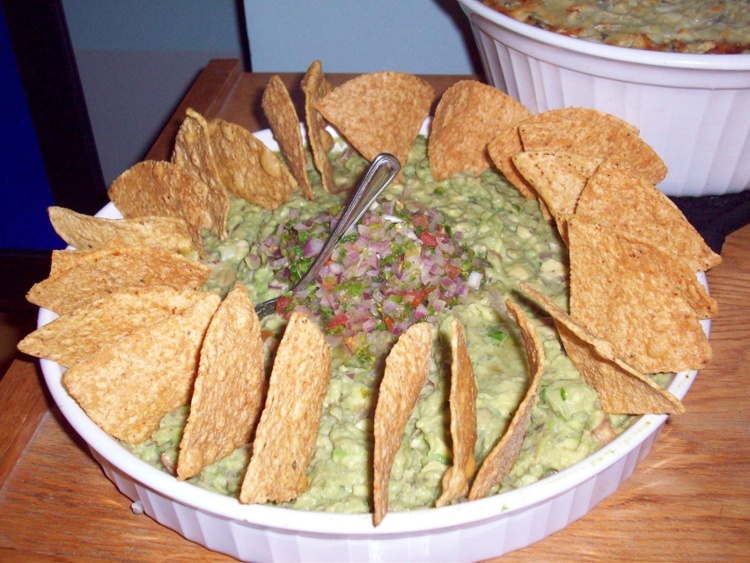 Of course, no football party would be complete without guacamole. Our version includes a chipotle twist. Yield: 8 servings. Active time: 15 minutes. Start to finish: 15 minutes. Remove the meat from the avocado and place in a bowl. Add the lime juice and mash with a fork or potato masher until smooth. Fold in the chipotle pepper, cilantro and tomatoes. Season with salt to taste, and serve with tortilla chips. Watch The Chopping Block’s Owner/Chef Shelley Young demonstrate how to make guacamole in this video. In this collection, we’ll give you winning recipes for each category, as well as entertaining tips to ensure all of your guests (yes, even those who (gasp!) may not be into sports) have a great time. We have more advice on menu planning, and how to manage your time, including lists for 3-4 days out, 2 days out, the day before the party and game day. It’s everything you need to execute the perfect party play! 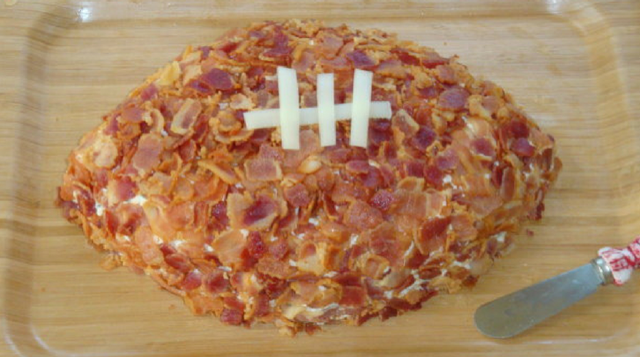 Download The Chopping Block’s Football Food recipe collection.